Are you and your friends hitting the road for Spring Break? 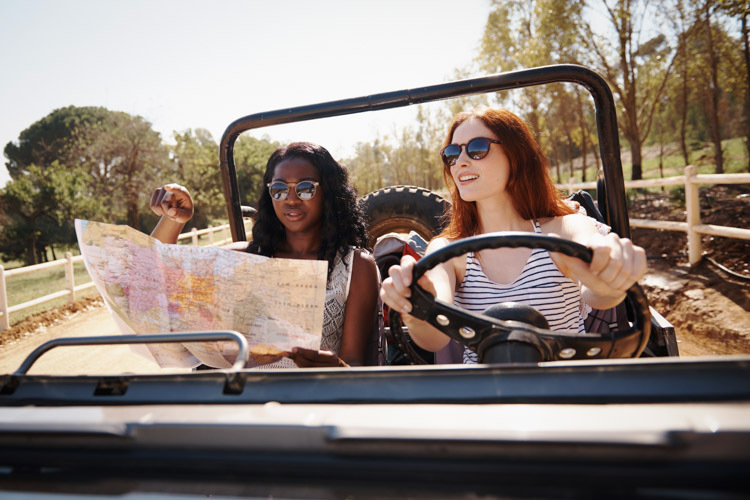 Whether you’re heading to a big beach party in Miami or a low-key wine trip in Napa, Metromile has your best interests in mind when it comes to their road trip policy. With our per-mile insurance, any miles you drive above 250/day (150/day in certain states) are on us. Check out our road trip tips below for a spectacular spring break. Double check: Make sure your car is up-to-date with oil changes and maintenance needs, and check your tire pressure. If you are concerned, swing by a local mechanic who can give your car the okay for a long road trip. Before departing, confirm that you and the other drivers have their license, and the car has proof of registration and insurance. Alert, alert: Take turns behind the wheel to keep the driver awake and alert. Assign the passenger sitting shotgun to stay awake and chat with the driver. Create a playlist with all of your favorite jams and sing along! Map your trip: Queue up your trip in Google Maps or Waze, but be sure to familiarize yourself with the route ahead of time. On a budget? Use a fuel cost estimator to get an idea of what you’ll be spending on gas, and save on snacks by stocking up at your local grocery store, instead of buying overpriced food at a roadside stations. Bring a road trip survival kit: Package a car charger, water bottles, first aid kit, extra set of car keys, and basic car tools such as jumper cables, flares, and a flashlight. Leave the survival kit in your car after the trip to have in the case of an emergency. Don’t forget the essentials: sunglasses, suntan lotion, and a phone charger so you can Snapchat every moment of your trip. For more ideas, check out our spring break checklist. If you find yourself mostly using your car for road trips, you could benefit from Metromile pay-per-mile insurance. Get a free quote here. Enjoy your trip! There were 46.3 million people in the US traveling during Thanksgiving last year, with 89% of those people traveling by car. That’s a lot of people on the road, but there are certain days and times that are less congested than others. Since we want to equip the Metromile community to be the smartest drivers possible, we’ve crunched some numbers to give you an idea of the best and worst times to drive, based on 2014 trips by Metromile drivers. We looked at Metromile trips during the weeks before and during Thanksgiving in California, Washington, Seattle and Illinois (we weren’t in Pennsylvania and Virginia at the time). While trip mileage varied by each state, the most miles were driven on Thanksgiving day across all states. The average miles driven that day was 27 in California, 23 in Illinois and 22 in both Washington and Oregon. For context, the average Metromiler typically drives 13 miles a day. It seems that folks definitely make a weekend out of Turkey Day. In California, Oregon and Washington, the Sunday after Thanksgiving was the day with the second largest amount of miles driven. Illinois drivers logged their second heaviest mileage day on the Wednesday before Thanksgiving, perhaps getting a head start on the journey or covering a longer distance. The whole week surrounding Thanksgiving was filled with high mileage days, but we did find that Monday and Tuesday had the smallest mileage spike in all states. The average miles driven in California on the Monday and Tuesday before Thanksgiving was 16 and 17 miles respectively, which is about 60% less than on Thanksgiving day. So if Monday and Tuesday are the best days to drive, what about the best times? Check out the handy infographic below to drill down into the details (it’s interactive, so you can even view by city). As indicated by the darker colors, mid afternoon to early evening tends to be the most congested. In short, according to trips taken by Metromilers last year, it is best to drive on Monday or Tuesday, and earlier in the day (before noon). If you do have some big holiday road trips in the future, you are in luck if you are a Metromile pay-per-mile car insurance customer. We have a daily mileage cap so you won’t be charged for over a 250 miles a day (150 in certain states), but still will be totally covered all the way to grandma’s house! Does your car ever sit unused for an extended period of time? Whether it’s because of a long vacation (lucky you!) or a newly found appreciation for public transportation, we’re big fans of using your car less. However, you don’t want a dead battery or engine problem the next time you decide to take your car for a spin. Follow these precautions to ensure your car is in running condition the next time you need to use it. Keep it clean: All dressed up and nowhere to go? It may seem silly to get your car nice and spiffy just to keep it locked away, but dirt and residue can eat away at your car’s exterior if left on for a long time. Fill’er up: It might also seem contradictory to fill up your gas tank to go… nowhere, but this will prevent moisture from accumulating inside the fuel tank. Excess condensation can lead to acceleration problems, and when the inevitable winter chill returns, a fuel line freeze. If you will be storing for a very long time, it also might help to purchase a fuel stabilizer to prevent gasoline from becoming gummy. Plus, you’ll be pleased to find a full tank of gas the next time you drive! Don’t lose power: All vehicles typically experience a very small amount of battery drain, even while turned off. Mechanic Matt suggests purchasing a battery tender, a small charger that keeps your battery topped off every day. Get some air: Use a tire gauge to make sure your tires are inflated to the recommended tire pressure (follow @Metromile to find us at a local event where we give them away for free). If the tires are under-inflated, head to the gas station to add some air because flat spots can develop as the vehicle’s weight presses down on the tires. Even while idle. It could also help to have an air compressor on hand to quickly inflate a flat if a gas station isn’t in close proximity. When you are ready to brush those cobwebs off your car (hypothetically speaking, hopefully) do a quick inspection before starting the engine. Check the windshield wipers, tire pressure, fluid levels, brakes, and under the hood to see if anything looks off. If it’s been awhile and you are uneasy about the condition, take your car into your local mechanic for a professional opinion. And if you are often leaving your car unused, you could be a great candidate for per-mile insurance because your monthly bill is based on the miles you drive. Check out metromile.com/insurance to learn more! 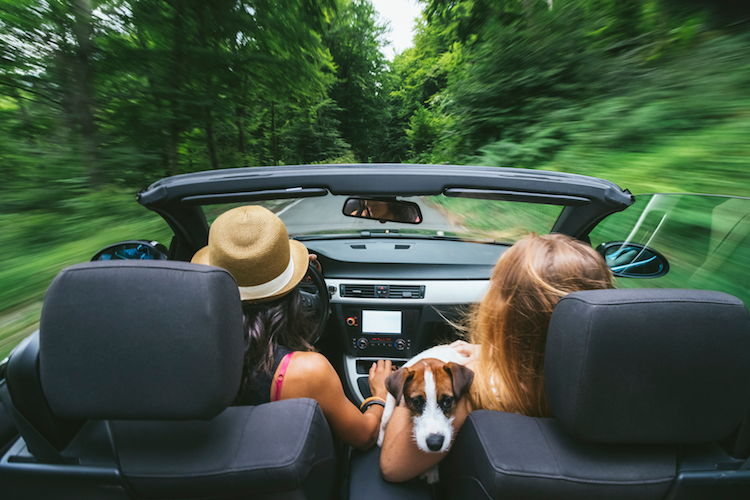 Grab your friends and kick off the summer solstice with a road trip to your favorite warm weather destination. Whether the drive is 30 minutes or 3 hours, the transit from your couch to a beach blanket should never be cumbersome. To help you get to your destination with ease, we’ve compiled our favorite road-tripping tips into one handy guide. And if you aren’t sure of your actual destination, we’ve got tips for that too! A healthy car is definitely a prerequisite for any open road adventure. To prepare for a smooth drive, there are a few quick checks you should do. First, make sure there isn’t anything weird going on with your tires (even your spare). Look for any weird bulges or uneven wear, and use a tire gauge to measure pressure. Next, check out a site like GasBuddy to identify the cheapest and easiest place to fill up on gas, so you aren’t stuck paying top prices. You should also make sure your washer fluid isn’t running low because no one likes driving with a bug-laden windshield! It’s also important that your mechanic is doing a more comprehensive check-up throughout the year since your brakes, cooling system, transmission service, oil levels and exhaust system can all deteriorate over time. If you want more details about getting your car road trip ready, check out this post. Our friends at The Zebra compiled a great list of the best apps to download before hitting the road. We don’t want to encourage distracted driving, so enlist your passengers to man the phone or wait until your car is parked. Waze: This community-driven app gathers map data and traffic information from other users, such as accidents, police traps, and traffic jams, and uses it to estimate the best possible route. Inroute: If you see your summer road trip as more of a journey through various attractions, Inroute helps you find the best possible route based on “weather, elevation, curviness, daylight and places along the route”. Songza: Search for music based on the time of day, your current mood, or favorite genre. Songza is completely free, and even has thousands of original playlists handmade by music experts. You can also download the Metromile driving app, which gives important insights into your daily driving and car health! The following is a guest post from Jaime Netzer, editor of The Zebra’s Quoted blog. Summer road trip season is officially upon us. This year, AAA estimated that 37.2 million Americans kicked off their Memorial Day weekend with a road trip. But traveling today doesn’t have to mean long games of license plate bingo and boredom, or hoping for the next town’s gas to be a bit cheaper—there are a slew of apps available to change all that. If you want to make your summer road trip as tech-savvy as it is fun, we’ve got three apps to download—stat. Inroute is an intelligent route and road trip planner—it helps you find the best possible route based on “weather, elevation, curviness, daylight and places along the route.” Especially if you’re seeing your summer road trip as more of a journey through places rather than as direct-a-line-as-possible *to* a place, Inroute might be exactly what you need. Also, by knowing what to expect beforehand, you’ll feel both safer and better prepared for what lies ahead. Features include charts of sunrise and sunset times, the ability to search for gas, hotels, campgrounds, or places to eat close to a route, and the ability to easily reorder “waypoints”, either automatically, for the fastest route, or manually. When you can’t handle yet another song on the Taylor Swift Pandora station, switch the tunes over to Songza and prepare to be delightfully surprised. You can search for music using time of day, allowing the app to play personal music concierge, or by mood or genre. The best part? Songza is completely free, and there are no advertisements, either. Found the perfect playlist? Save it and then share with your friends via Facebook, Twitter, or email. Songza has thousands of original playlists handmade by music experts, so you no longer have to play backseat DJ—there’s an app for that. *Note: The Metromile Tag is available in CA, WA, OR and IL and in cars built after 1996. Per-mile insurance customers still must use the Metromile Pulse, which plugs into the car’s OBD-II port. Summer is quickly approaching and chances are a road trip (or five) is in your near future. However, with increased travel comes increased chances for car trouble. Whether it’s a flat tire, breakdown, or an accident, there’s a good chance you’ll experience some sort of roadside emergency in your lifetime. And if this happens on a busy street or freeway where you’ll have to contend with heavy traffic, a bad situation can quickly become worse. If you have an emergency while driving, your personal safety should be your first priority. According to the National Highway Traffic Safety Administration, there are roughly 4,000 pedestrian fatalities every year, accounting for 12% of all traffic fatalities and 59,000 pedestrian injuries from roadway crashes. Practicing smart roadside safety can help prevent you from becoming an unfortunate statistic. Here are my safety tips to help prevent one accident from becoming two. 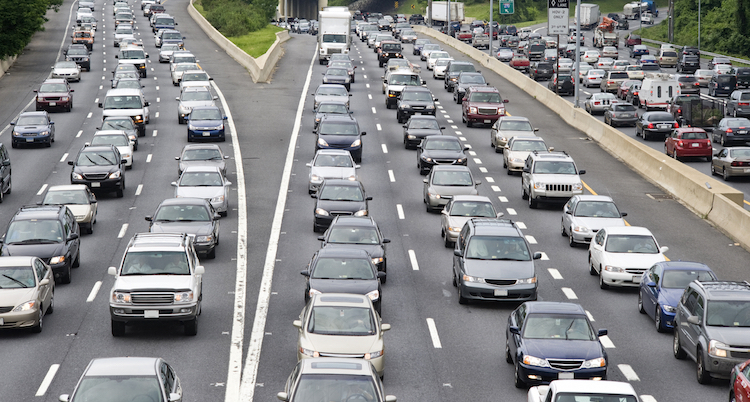 Regardless of the situation, the first thing you must do is get your vehicle to a safe spot away from traffic. If you’ve been in an accident, motion for the other driver to do the same before assessing the damage. Even if you have a tire blowout or a flat, move out of the way before attempting a repair, even if it means damaging your car even further. The cost of a new tire could be minimal compared to any additional harm or damage that could occur. Once you’ve moved to a safe location, stay in your car and call for help. If something is wrong with your car, call a tow truck or your insurance provider’s roadside assistance. If you’ve been involved in an accident, call the police and file a report, no matter how big or severe the accident is. The police will help sort everything out and determine who is responsible for what damages. If someone is injured, you should also call for emergency services immediately. And if you break down in a dangerous area, make sure to keep your doors locked until help arrives. Carry flags, flares, or reflective triangles in your vehicle so you can mark your location in the event of an emergency. You should also turn on your hazard lights so that other drivers have advanced warning of a problem ahead. Even if it’s a bright sunny day, it’s still important to alert other cars that something is wrong. These are just a few simple things that can reduce the possibilities of turning a bad situation worse. If you do get involved in an accident as a Metromile customer, our customer service advocates are available to help you throughout the claims process. Memorial Day Weekend is upon us which means that summer is unofficially here! 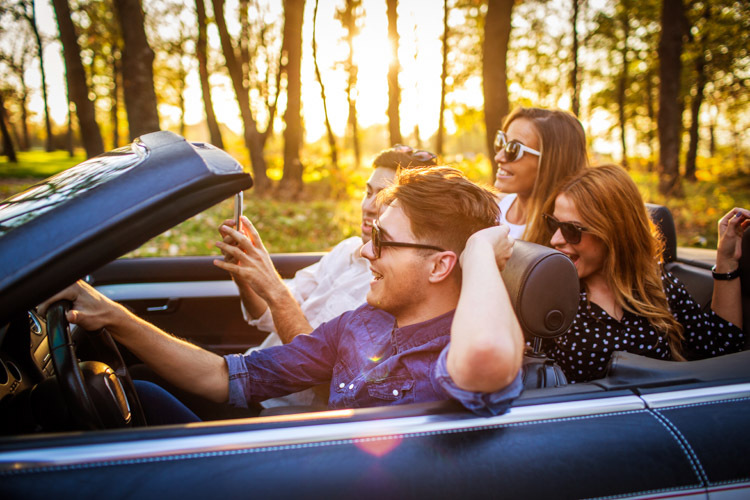 Whether you are heading to the beach, the wilderness, or a BBQ at your friend’s new condo, a healthy car is probably a prerequisite for your weekend plans. Here’s a handy list to prepare for smooth driving ahead. It is possible to pre-emptively stop flats before they turn into a major detour. Check your tires to see if anything looks off, such as weird bulges or uneven tire wear. To be extra safe pick up a tire gauge, which could cost less than a rest stop meal and tells you exactly what your tire pressure is. Your tires should be inflated according to the vehicle manufacturer recommendations, which can be found in your owner’s manual or on the inside of your car’s door. And as Mechanic Matt suggests, make sure your spare tire is also inflated because it can leak slowly over time. We all face the same road trip conundrum: how do you know when to fill up your gas? What if gas is cheaper in the next town you pass? Don’t wait until your tank is empty because you might be stuck going to the most expensive gas station. Check a site like GasBuddy ahead of time to find the areas that have the best prices along your route. While you’re at it, check your washer fluid levels too so you can refill if needed and aren’t stuck with a bug-laden windshield. Even if you take the time to make sure your car is in tip-top condition before a long drive, you could still hit unexpected roadblocks. Keep some basic tools in your car, such as a jack wrench, lug wrench, jumper cables, and a flashlight. A first aid kit is good to have on hand also. And don’t forget those extra snacks in case you get stuck in traffic; no one likes a hangry driver. Check out our road trip checklist to make sure you aren’t forgetting anything. Whether you use an app on your smartphone or the old-fashioned paper map, familiarize yourself with the route before you step on the gas. 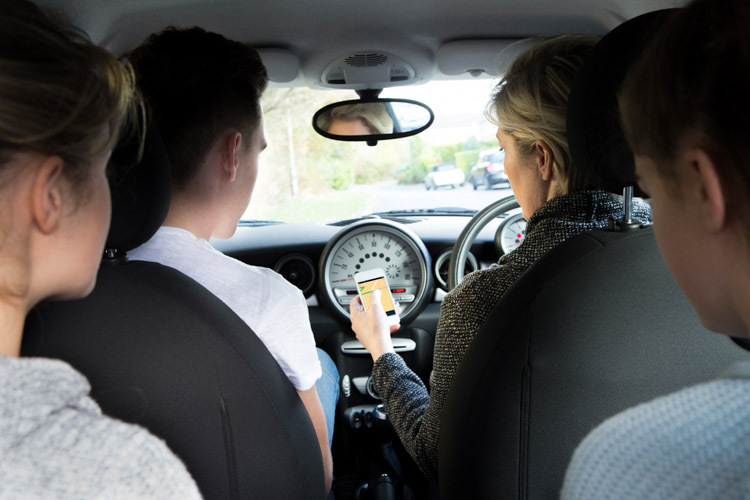 Checking directions while driving is considered distracted driving; taking your eyes off the road for even a few moments could cause an accident. Waze is a great app to use because it updates your route in real-time based on traffic patterns and user-submitted tips, and you can set directions to be read out loud so you never have to look at your phone. It is important to note that these tips are in addition to the comprehensive check-up that your mechanic should be doing throughout the year. Your brakes, cooling system, transmission service, oil levels and exhaust system can all deteriorate over time, and if you aren’t confident about the inner workings of your car it might be best to leave this stuff to an expert. Just make sure you are staying on top of the maintenance schedule suggested by your manufacturer. If you have the Metromile app, you can check your car’s health. Planning to road trip more this summer? We will be compiling these and other tips into a road trip guide which will be fueled by the Metromile community. If you’d like to contribute to the guide, tag your photos, tips and more with #HowIRoadtrip. Happy travels!